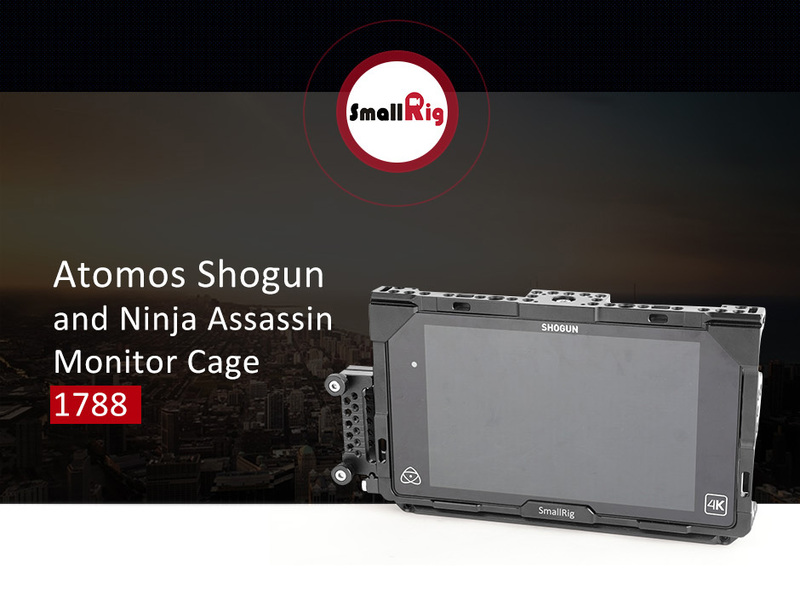 SMALLRIG Atomos Shogun and Ninja Assassin Monitor Cage 1788 is a form-fitting protective cage, which enables an access to attach battery and handles. 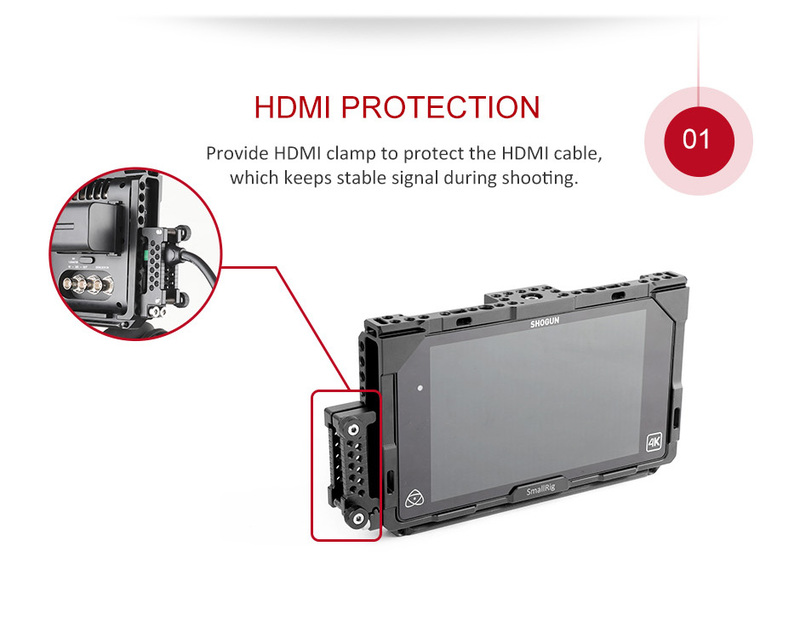 It gives a good protection for HDMI cable. 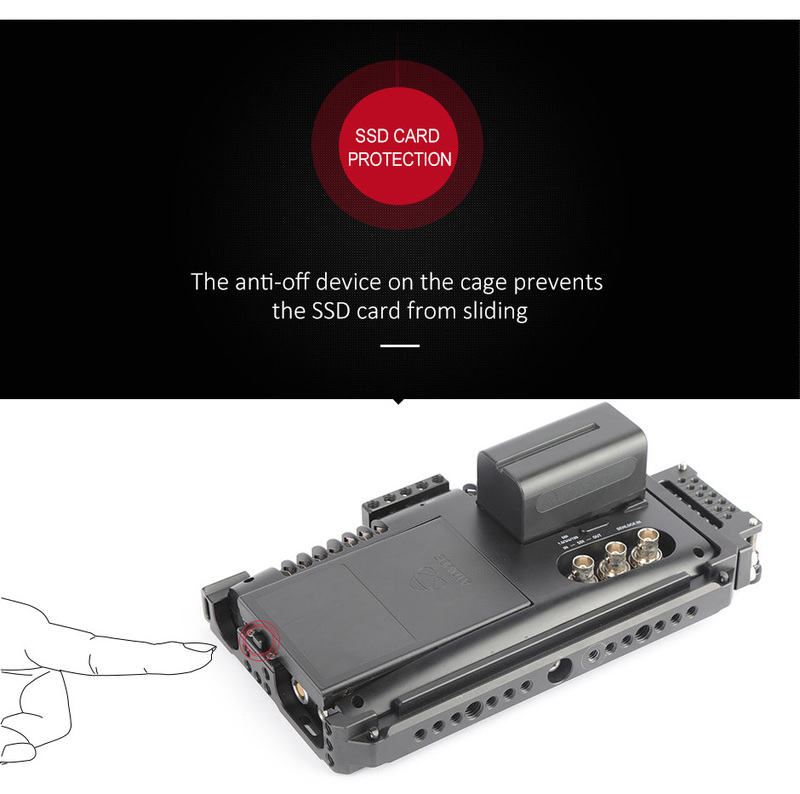 And the anti-off device to prevent the SSD card from sliding. The mounting of shoulder strap provides you more convenience during shooting. It has a NATO style rail on each end of the top, which allows for attach SMALLRIG rail clamp 1254 with 15mm rod. 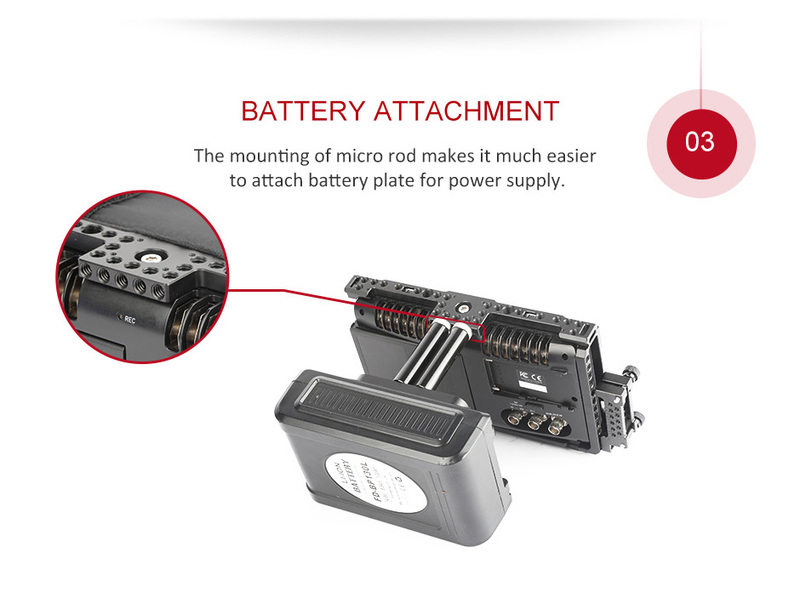 Meanwhile, you can also attach SMALLRIG cold shoe 1241 to achieve more accessories connection. 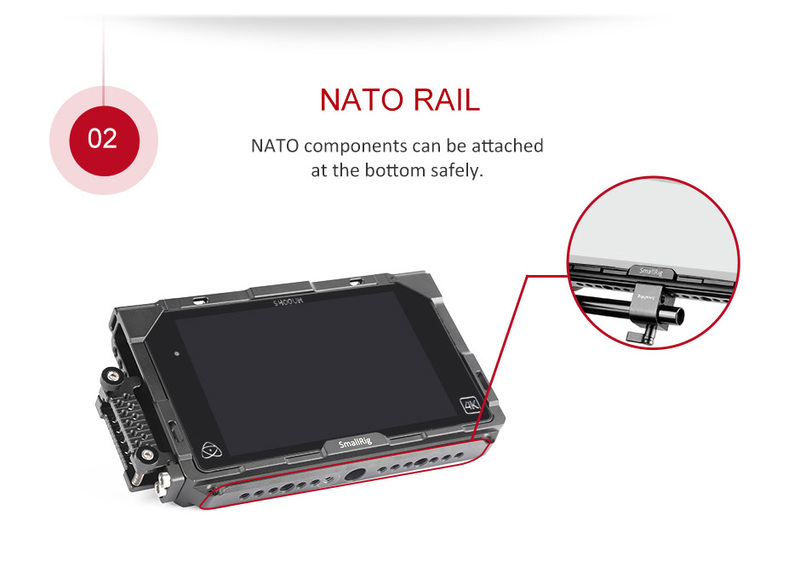 There is a NATO rail on the bottom, which allows for NATO components quick attachment. 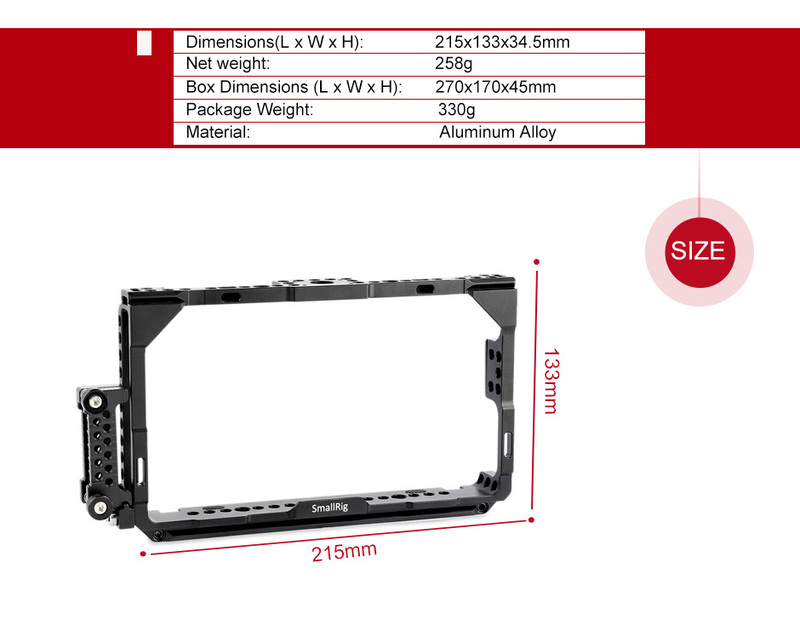 This device comes with arrays of 1/4"-20 & 3/8"-16 accessories mounting holes for extended functions.